It´s officially autumn Shugas! 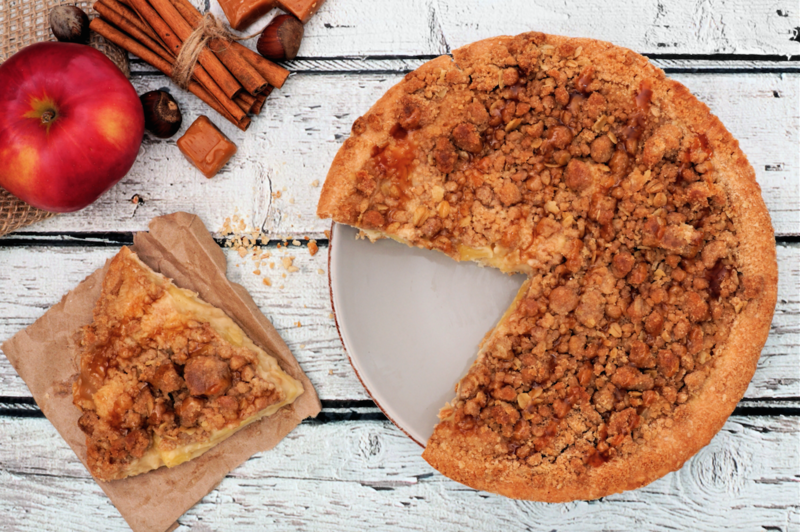 And we are baking an exquisite Apple Crumble Pie that fits perfect to celebrate the start of this season! If it´s hot were you live, you can serve it with vanilla ice cream. If on the other hand, it is starting to chill down a bit, you can accompany this crumble with a cup of your favorite drink, such as tea or coffee. Either way you have it, we promise you will love it! Add the melted butter to the cookies and mix. Press the mixture to the bottom of the mold. Peel apples and cut into small slices. Place in a bowl and add SHUGA!, butter and cinnamon. Heat the apples on medium heat until they caramelize, about 10 minutes. Serve the caramelized apples on the cookie dough. In a bowl add the oats and a little SHUGA!, add over the apples in the mold and bake for 20-25 min.